Broad Range. Users of Flow Technology’s precision flow metering devices range from major oil and gas companies drilling at the bottom of the North Sea, to leading food and beverage producers, pharmaceutical manufacturers and the NASA space program. Even winning Nascar™ and NHRA™ racing teams use our flow meters. FTI flow metering products are frequently used in mission critical applications, especially within the aerospace, military and oil and gas markets that we serve. Flow Metering. As a flow meter manufacturer, we can design and build highly accurate, robust, and reliable devices to precisely measure the product flow. World class customer service. We provide world class customer service that ensures the accuracy of your equipment. Our world class service extends throughout the organization to ensure we provide what you want when you want it. Unsurpassed industry experience with a focus on total customer satisfaction. Our most valuable assets are our customers and our highly trained, experienced staff who are committed to delivering world class quality solutions. The constant pursuit of knowledge ensuring that we understand the needs and wants of our customers. In particular how flow meters are applied, or could be applied, in the industries that we serve. The belief that we are a solutions company. We are not a commodity player. Growing our technology base to ensure that we can deliver the optimum solution. Constantly striving to deliver high quality service and responsiveness to our customers. Our calibration services capability. We have a world-class PRIMARY calibration facility that ensures quality products. Our experienced engineering and sales team can produce a custom flow metering solution for your application. 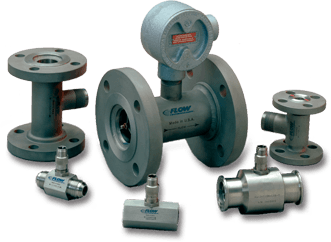 Whether it is a special end-to-end dimension, custom circuitry, or qualification testing, Flow Technology is a flow meter manufacturer that can work with you to design and build the flow measurement device you need.